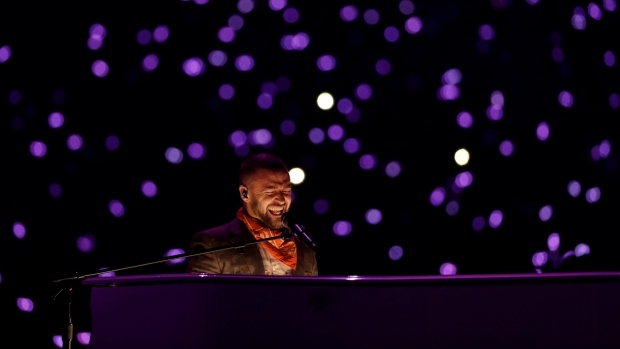 When a boy took a selfie with Justin Timberlake during the Super Bowl halftime show, most of Twitter lit up with jokes about him staring at his phone. But in New England, people focused on his sweatshirt. The fan was wearing a shirt from the Sunday River ski resort in Maine. Sunday River tweeted that it was looking to identify the fan, offering both him and Justin Timberlake passes to the resort. His identity was soon revealed. As TwinCities.com reported, the fan is 13-year-old Ryan McKenna, a seventh grader at Derby Academy in Hingham, Massachusetts. "I just thought to myself, 'I'll never get this opportunity again in my whole life,'" Ryan told the publication. "I just went for it." "My phone started blowing up," his father, John McKenna, added. "It died, like, instantly after it happened. We had friends from all over reaching out. I couldn't believe it." Ryan appeared on the "Today" show Monday to give an update on how much exposure he's gotten, saying his Instagram story has 60,000 views and he's suddenly got about 12,000 followers. "I'm a huge Justin Timberlake fan and that was my favorite song, 'Can't Stop the Feeling,' so I was just so excited that he was right there and playing that song," Ryan said. Even NBC's "This Is Us" got in on the speculation as to what he was looking up on his phone. "It was already crazy to be at the Super Bowl in the first place," Ryan told TwinCities.com. "Then all of a sudden I'm up on the Jumbotron and everyone is talking about me. I can't believe it." #SuperBowl kid, I have a season pass for you. Seriously. Someone send #superbowlselfiekid in my direction. Maybe after the game. He has good seats.